So you have invested in either recruiting or promoting a new leader to / in your organisation but how are you going to support them in the early days of their new role to maximise their chance of success? There are so many different factors at play from culture, behaviours, new industry, new team, new boss, new products that you cannot simply assume that your outstanding new recruit will succeed without any robust support. Executive Coaching is a powerful way to achieve success and accelerate the performance of the new leader from the day they start in their new role. 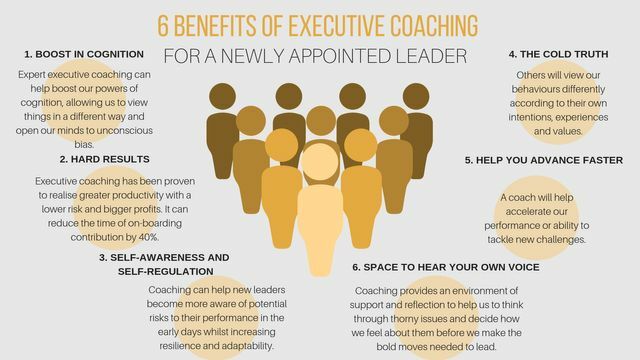 Here is a simple infographic highlighting the 6 benefits that executive coaching will provide a new leader.